Before heading to Europe to kick of the first leg of the Earth Rocker world tour, CLUTCH is giving fans a chance to hear the title track and first single from their new album. 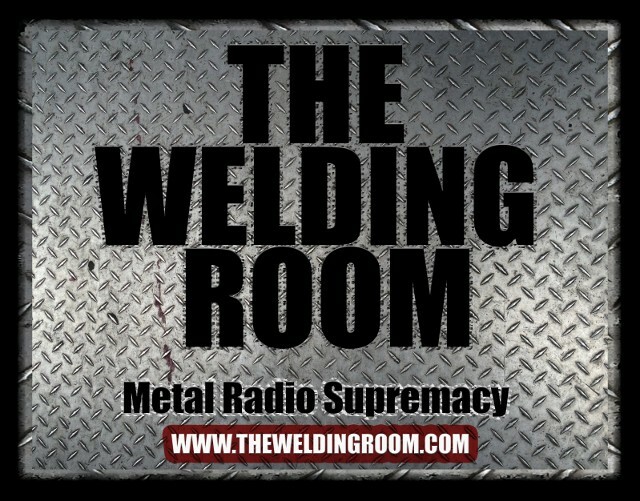 Get a listen of the track TONIGHT on The Welding Room radio program. Plus, check out an interview with guitarist Tim Sult HERE. With a little bit more than three months left before the highly anticipated release of the new CLUTCH studio effort Earth Rocker, the band announced the initial dates for the first leg of the North American Earth Rocker world tour. Starting March 8 in Cincinnati, OH and currently slated to run through March 24 in Anaheim, CA. Support on these dates will be provided by Orange Goblin, Lionize and Kyng. Tickets are on sale now. Look for more dates to be announced in the coming weeks. CLUTCH recently unveiled the artwork for Earth Rocker. The art was created by Nick Lakiotes, long time CLUTCH art director, who has worked on previous efforts including: Robot Hive/Exodus and Strange Cousins From the West. Fans can keep up on the progress of Earth Rocker by visiting the new website www.earthrocker.com. The website is a hub dedicated to all things Earth Rocker. Fans can expect to see frequent updates including photos, videos from the studio, song title announcements and samples of new songs. In addition to the new website CLUTCH has joined the world of twitter. Follow CLUTCH on Twitter @ClutchOfficial. 1/22: London, UK @ Koko – SOLD OUT! 1/25: Paris, FR @ La Maroquinerie – SOLD OUT! 1/26: Stuttgart, GER @ Universum – SOLD OUT! 1/27: Munchen, GER @ Backstage Club – SOLD OUT! 1/29: Berlin, GER @ Lido – SOLD OUT! 2/2: Hamburg, GER @ Logo – SOLD OUT! 2/5: Oslo, NO @ Parkteateret – SOLD OUT! This entry was posted in METAL and tagged Anaheim California, Cincinnati, clutch, Earth, Entertainment, gaming, London, Music, oscars, Press Day, Rocker, Sports, tennis, Tim Sult. Bookmark the permalink.